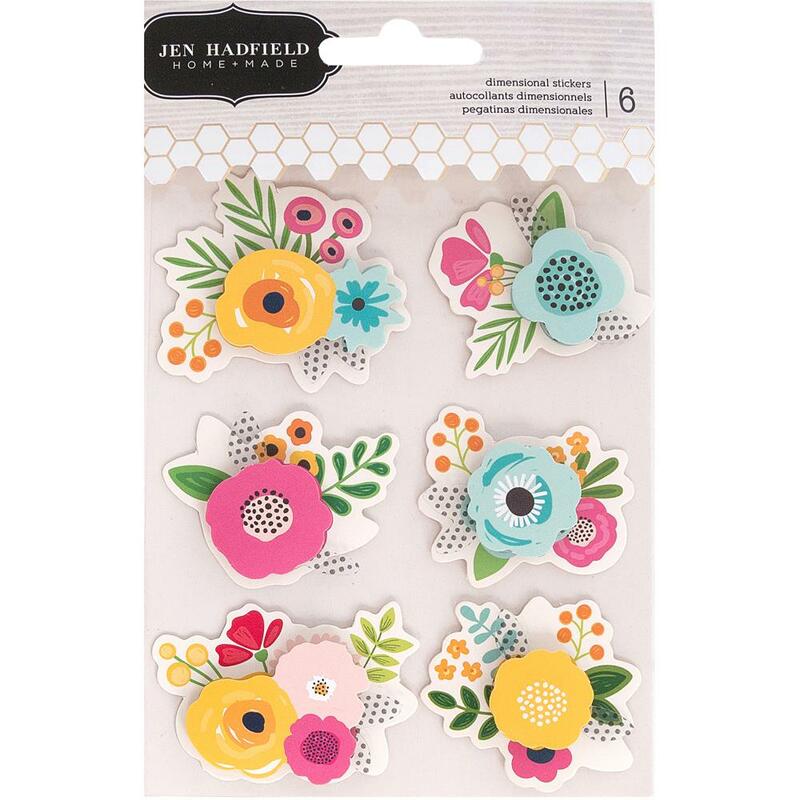 This package contains six (6) colorful Dimensional Flower Stickers. Part of the Patio Party Collection by Pebbles / Jen Hadfield. Look for coordinating selected Designer Papers, Stickers, Puffy Stickers and Dimensional Flower Stickers.